This op-ed by Mary Francis, member of AANW, was published on CNN’s iReport and in the 5-25-2012 edition of The Oklahoma Observer (subscription required). Hawks in the U.S. and Israel believe military action against Iran is justified because Iran enriches uranium for its nuclear power plants and medical uses. This enrichment activity is entirely legal under the Treaty for the Non-proliferation of Nuclear Weapons (NPT). Nevertheless, hawks characterize this as a “nuclear weapons capability” and insist that it must cease, or be stopped by force. The U.S. and the world cannot afford another war. The U.S. House and Senate may already have passed a resolution (H. Res. 568, S. Res. 380) expressing the sense of Congress that if Iran acquires a nuclear weapons capability, then “containment” options are insufficient. Containment includes diplomacy, sanctions, deterrence, and inspections short of war. Since some hawks in Israel and Washington regard Iran’s enrichment facilities as already “nuclear weapons capable” this resolution ratchets up the drift toward war. Iran has no nuclear weapons and no program to develop them, according to U.S. Secretary of Defense Leon Panetta, Israeli Defense Minister Ehud Barak, and the International Atomic Energy Agency. These same experts agree that it would take Iran more than a year to produce a nuclear weapon. Ongoing inspections of Iran’s nuclear enrichment facilities by the IAEA confirm that Iran is enriching uranium only to the levels permitted by the NPT Treaty for electrical power generation and medical purposes. 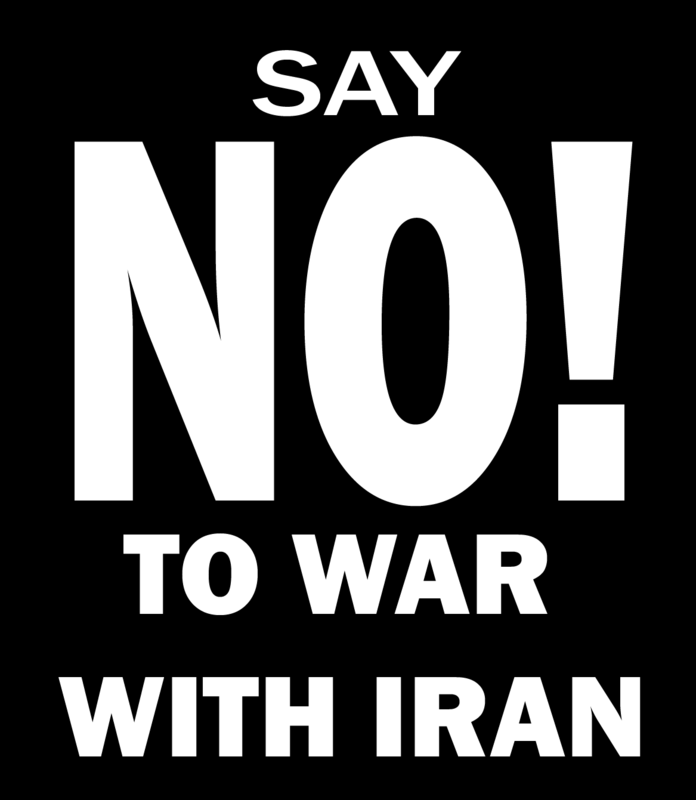 Most of America’s senior military personnel, including eleven retired military generals and admirals, and two former Secretaries of Defense, have made it clear that a war against Iran is a terrible idea. In March, on CBS’s 60 Minutes, the head of Israel’s intelligence division, Meir Dagan, said that “military action against Iran would be catastrophic, possibly sparking a regional war involving the U.S. and Russia.” He also said, it is “the stupidest idea” he had ever heard. Bellicose language about danger from Iran is reminiscent of claims about weapons of mass destruction made by politicians and hawks and uncritically reported in the media prior to the 2003 war against Iraq. We all remember Secretary of State Colin Powell’s solemn warnings to the Security Council about mobile chemical labs in Iraq, only to learn later that these claims — and so many others — were based on false testimony from unreliable sources. The media is once again reporting claims of a danger to the world (Iran) without balanced reporting of voices against war. This is a dangerous powder keg that can lead to a war everyone would regret. Attacking Iran could cause gasoline prices to skyrocket, sacrifice more American lives, and embroil the United States in another Middle East quagmire. War would also add billions more to our national debt and plunge our economy back into recession. There is no basis in law or common sense for the United States to launch a war against Iran. We must all tell elected officials: Not another war! America needs to come home and defend America! Mary Francis is a Peace Activist and member of Americans Against the Next War and The Peace House in Oklahoma City. The article was also published today, May 25, in The Oklahoma Observer.